"Northern Virginia's Premier Weight Loss Physician"
Nova ABC Medical Weight Loss Program is an affordable, non-surgical option to motivate, educate and exercise you toward successful weight loss and management. Our staff, led by Dr William McCarthy, is dedicated to providing you with all the weight loss and weight management educational, and behavioral tools you will need to meet your goals. Our physician, Dr McCarthy, has long been recognized as a leader in the field of obesity medicine. 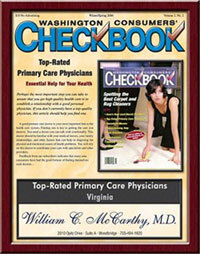 Dr McCarthy is both a educator and much sought after speaker for professionals in this important field of medicine. In 2012 he won the prestigious Steelman-Seim Educator award for outstanding work in the education of other professionals in the field of obesity medicine. Dr McCarthy is also head of the Continuing Medical Education (CME) program for the Obesity Medicine Association. If a lengthy, healthy and energetic life is your goal, call today for your First Step to a Healthier YOU!!! Northern Virginia Weight Loss weight loss doctors in northern Virginia Rapid Weight Loss Woodbridge Manassas Bariatric Medicine weight loss clinic northern Virginia effective weight loss fast weight loss quick weight loss diet how to loose weight easy weight loss quick weight loss fast weight loss quick way to loss weight diet tips weight loss pills exercises to lose weight weight loss supplements weight management weight loss pills weight loss pill best diet pill diet pill weight loss products diet center weight gain lose 20 pounds diet weight control lose 5 pounds how to loose weight fast fat burner weight loss stories.slow metabolism how to lose weight quickly weight loss clinics Virginia how to lose weight weight loss plateau.